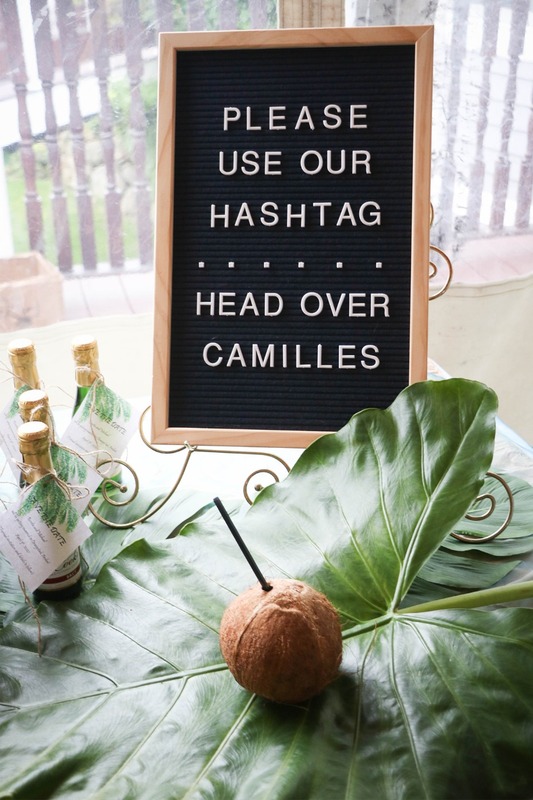 Honestly, I found this bridal shower while stalking a FB bridal group and I was like... ummmm this is so cute! 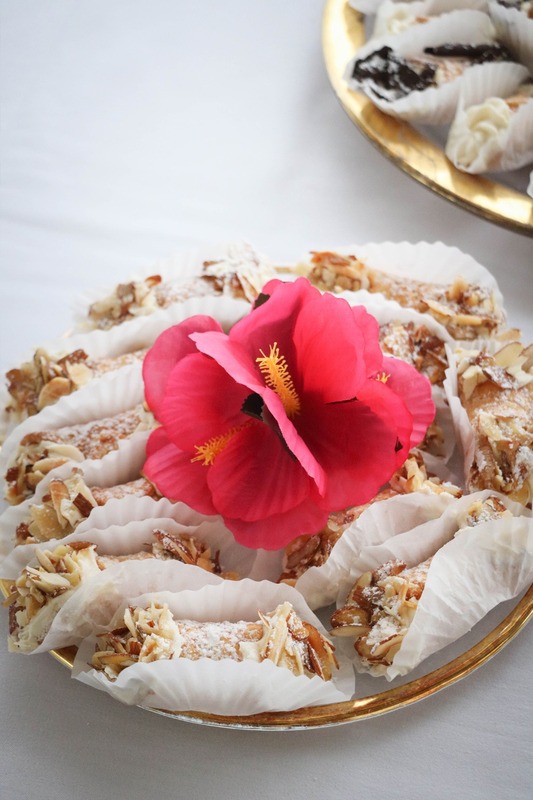 I reached out to the bride, who also happens to be a Gloucester, Ma wedding photographer - Bonita June Photography and she was so kind to share the photos and details of this insanely cute bridal shower that she planned for herself. 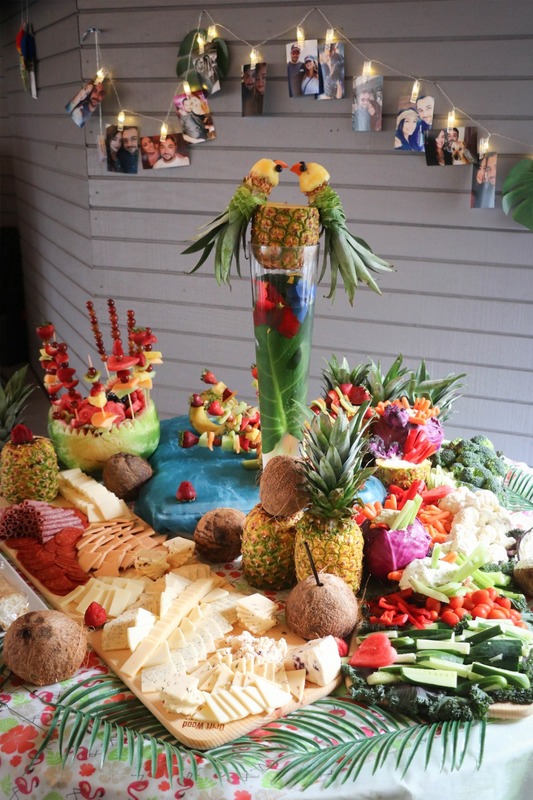 Read on to see her entire set up, learn how much it costs and see how you can plan your own tropical bridal shower. 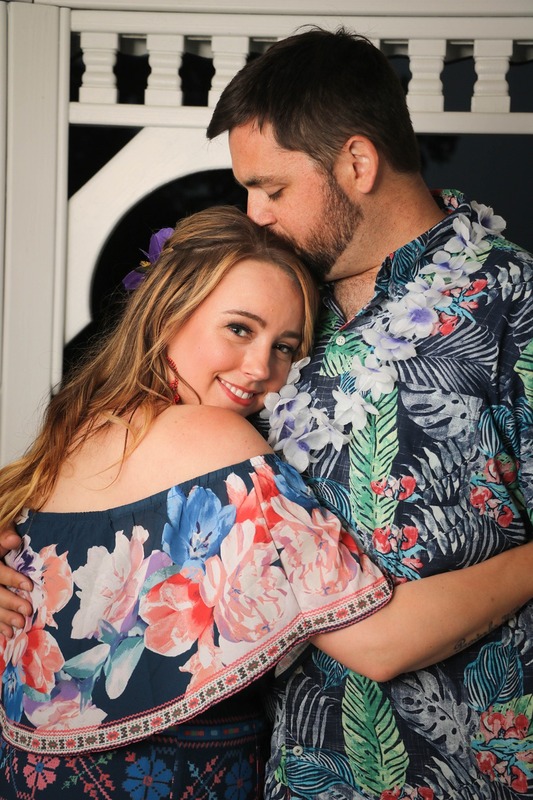 Bonita and Michael are getting married in Aruba! If you wondering where and what to do in Aruba, head on over here. 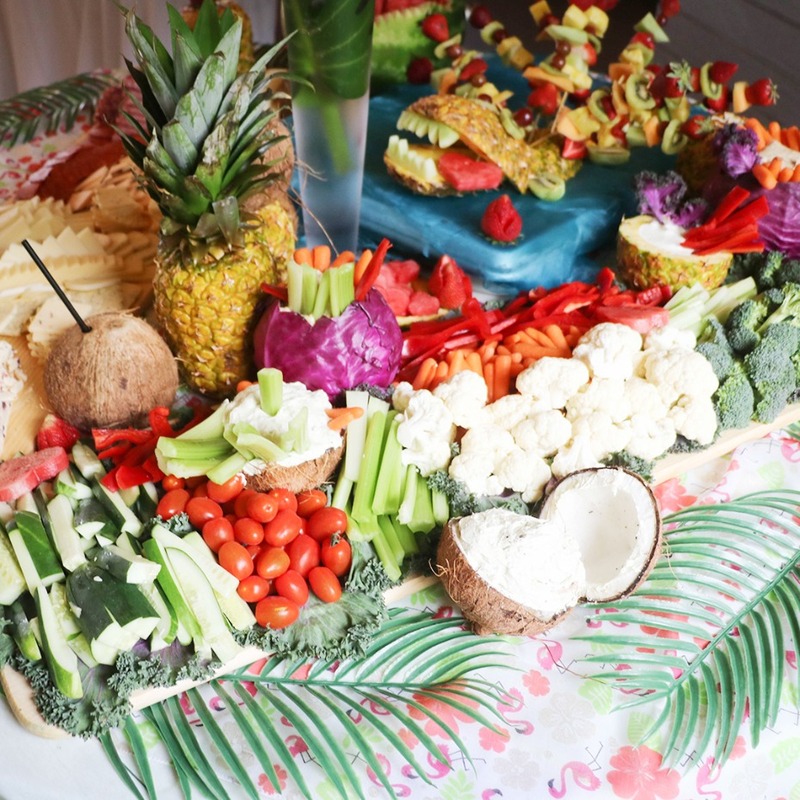 We're guessing that not everyone can fly to Aruba for their tropical wedding, so they wanted to throw an engagement party to celebrate their love with a tropical theme. 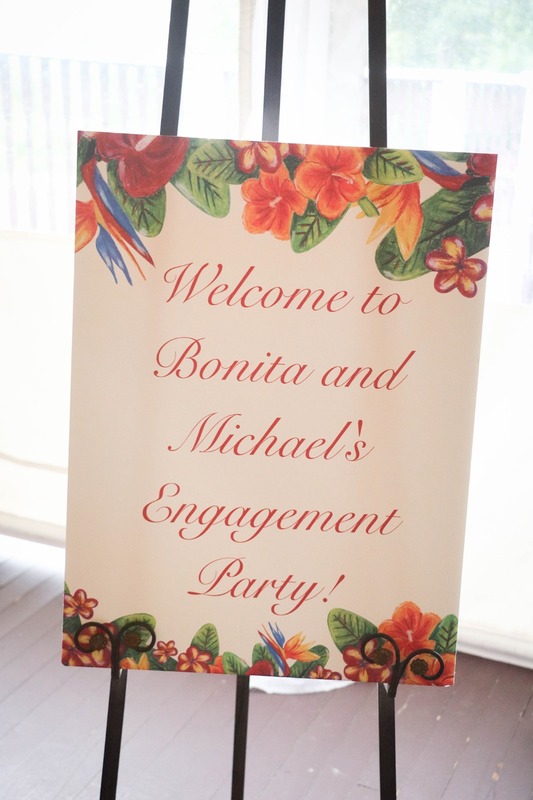 To start off they welcomed guests with this personalized tropical 11 X 17 poster from vistaprint.com for $3.74! Yes, you read that correctly it cost a little under $4! Instead of sending out their save the dates via the mail Micheal and Bonita had mini bottles of Cooks sparkling wine bottles with info about their up and coming wedding tied to the bottles with twine. Not only did they save money on postage, but BAM everyone knows when the wedding is. Here's how to make Save the Date champagne bottles. 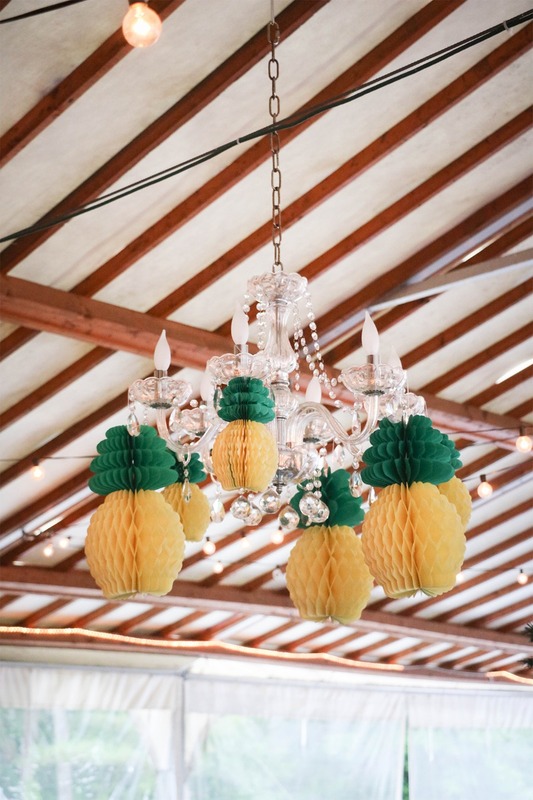 Bonita hung these pineapples decorations from the ceiling. They're $10.99 for 6! Bonita DIY everything herself. 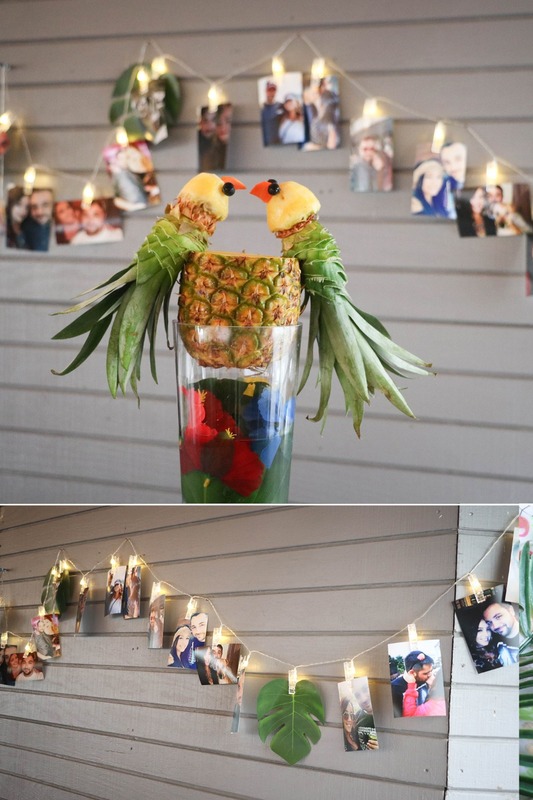 Are you dying over the kissing pineapple parrots? I feel like you need a close-up. Scroll down to see them a little bit bigger. Here is how to make them. 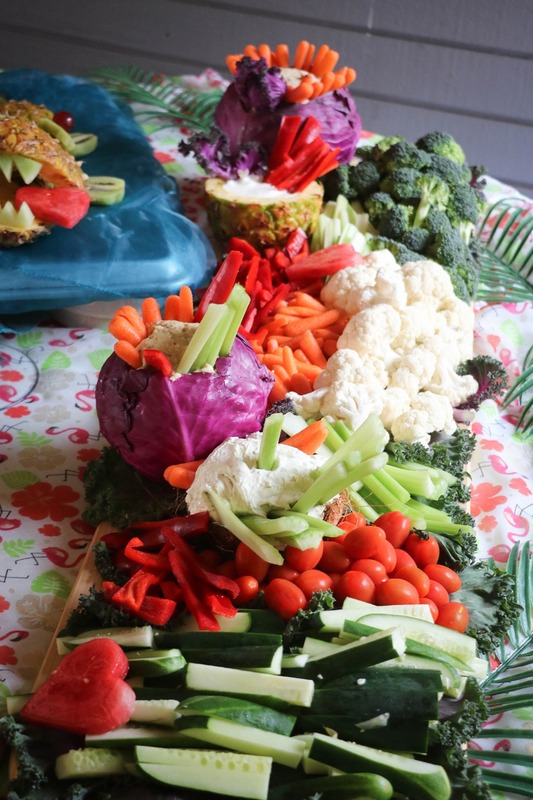 Bonita also made these super cute pineapple centerpieces. 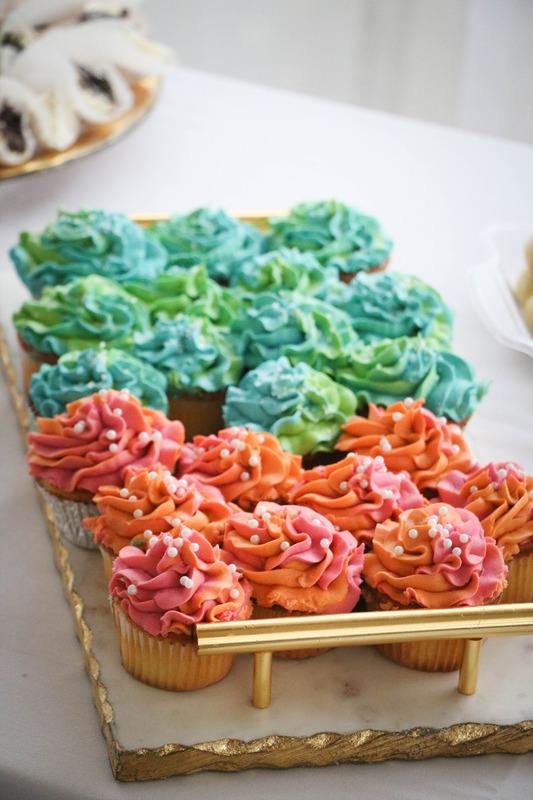 Which are really quite easy to make after you get all the supplies. 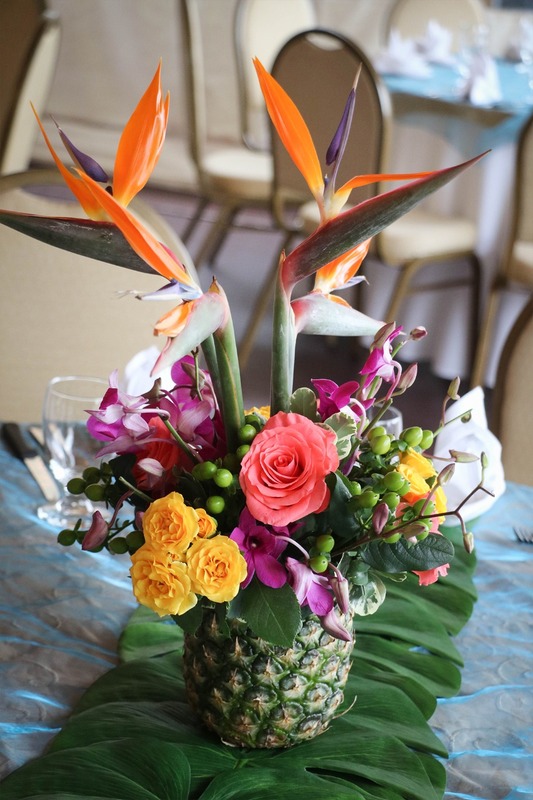 Here is how to make a pineapple centerpiece below. Step 1: Begin by chopping the stalk off the top of your pineapple, Then take your pineapple corer and remove the inner fruit of the pineapple. This will leave a thin core at the center of your pineapple vase, cut this out using your knife to create an open pineapple vase. Need a visual. Check out this video on how to carve a pineapple. Step 2: Dump out any remaining pineapple juice and use paper towels to dry off the inside of your pineapple vase. 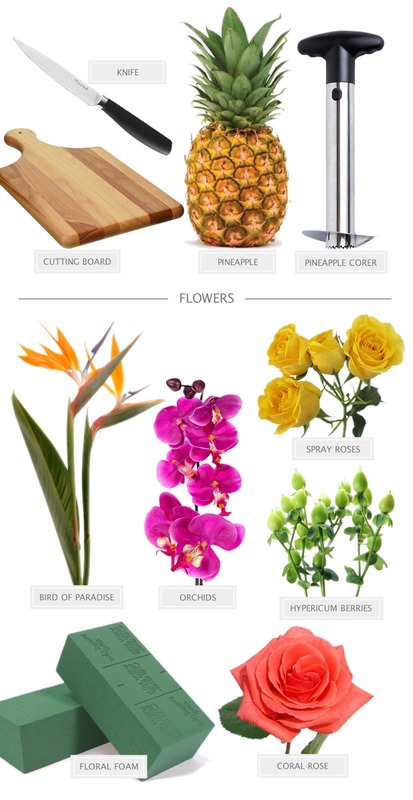 insert your floral foam into your pineapple vase. Step 3: Arrange your flowers to your liking we recommend adding in the greenery first and then filling it out with your larger florals and finishing up with your smaller florals. 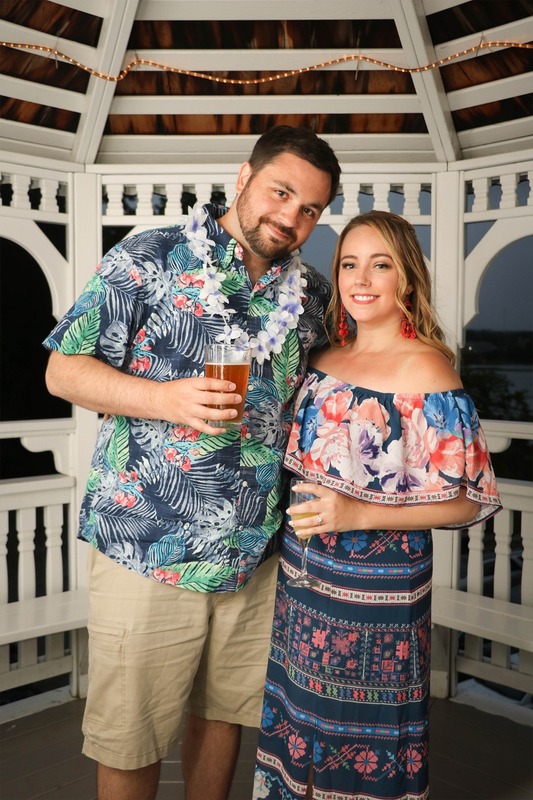 We decided to do a big engagement party because we are doing a destination wedding in Aruba April of 2020...alot of people won't be able to make it so this was a way to celebrate with our loved ones. We sent out 75 invites and 88 people were there! 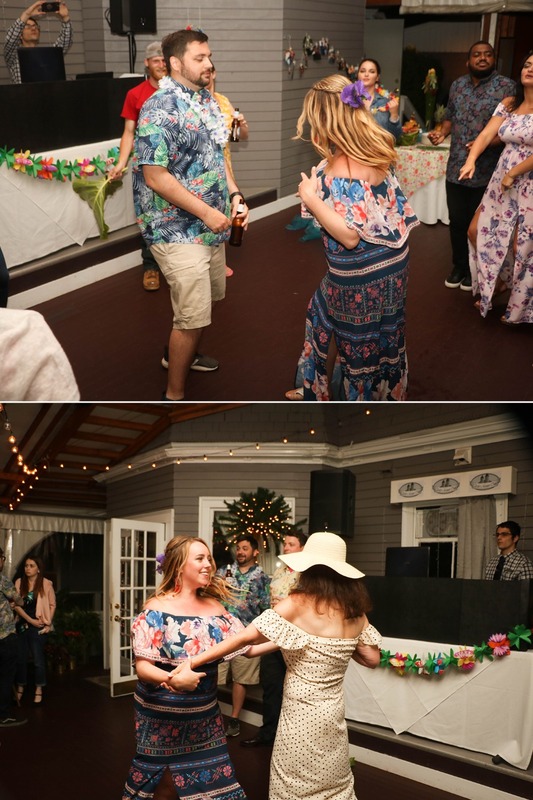 There was not one person not dancing. It truly was a beautiful night. It took 3 months for me to plan and prepare and between catering, decor, venue, DJ, etc. It cost roughly $5000! 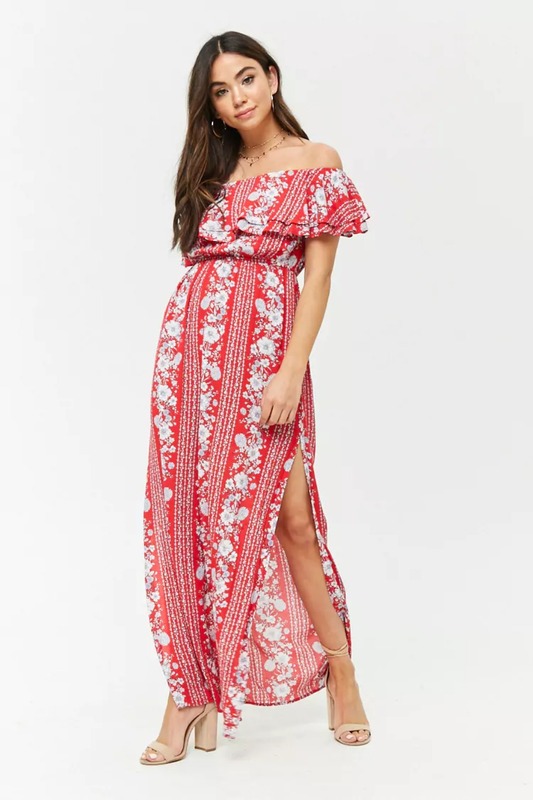 We're sure you wondering where Bonita got her cute dress from, none other than Ross Dress For Less. 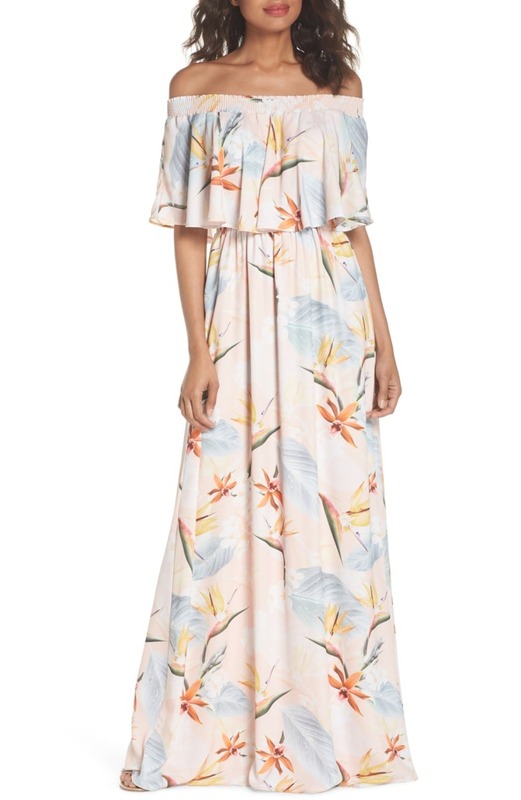 You're not able to buy it online, but do not fret we found you a few other cute off the shoulder tropical dresses that will ship anywhere.